Sac Zoo Wants To Move, Natomas Wants It! 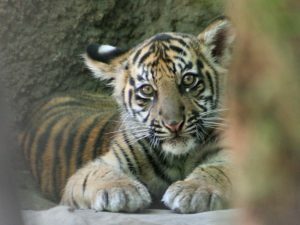 Home » News » Local News » Sac Zoo Wants To Move, Natomas Wants It! By BStigers on April 17, 2019. Moving the Sacramento Zoo to the old Sleep Train, and Arco Arena in Natomas is gaining a base root push from a group called we want a zoo. Last October, the Zoo announced plans they wanted to relocate and expand and it was mentioned the Natomas was being considered. The Kings however, who own the arena, said they had other plans for a more commercial development and the plan seemed to go dead. The Sacramento City Council is hearing the case for moving the Zoo next month. The Kings still own the land and have publicly said they plan to develop over 2 thousand housing units on the a83 acres of land.